The problem is, most of the Chimney Swifts have already migrated. 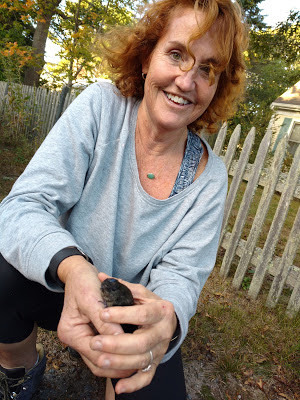 Last year, around this time, I was contacted by Jayne from Wild Care to help out with a lone little swift who just needed a little more time to rehabilitate. You can't wait too long though, otherwise those little ones will be left to migrate alone. It's not safe out there for THAT. You know the expression - safety in numbers - migration makes use of that for so many bird species. Wildlife rehabilitation is not for the faint of heart. I'll never forget it, and I like to think Jayne feels the same.